This morning I saw something exciting. 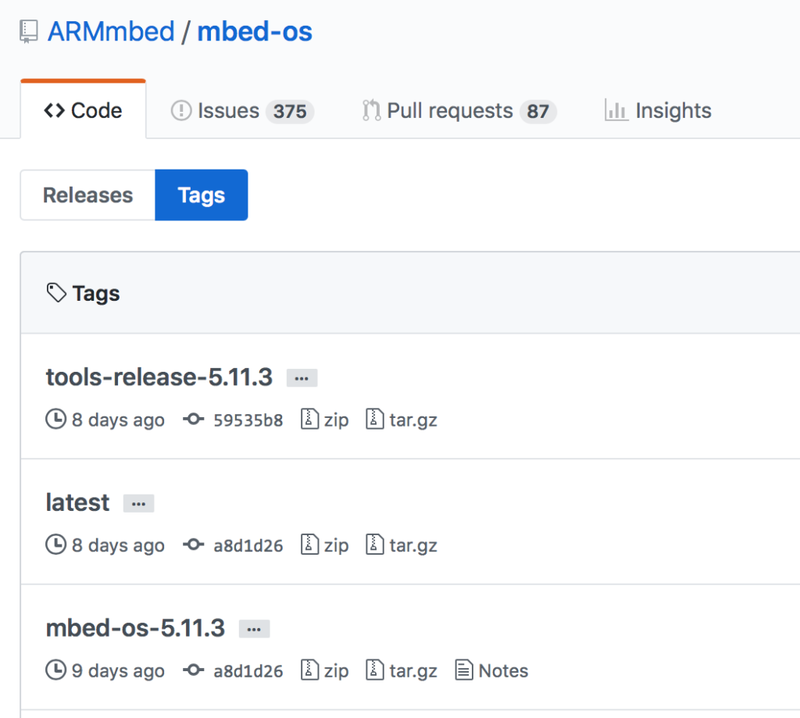 When I went to the ARM mbed-os GitHub site I saw the latest accepted merge commit was from vmedcy and it says something interesting. 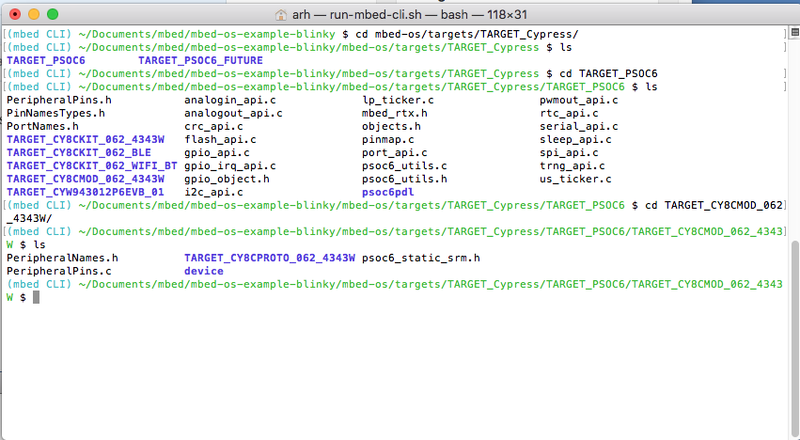 “Add Cypress PSoC 6 Targets”. 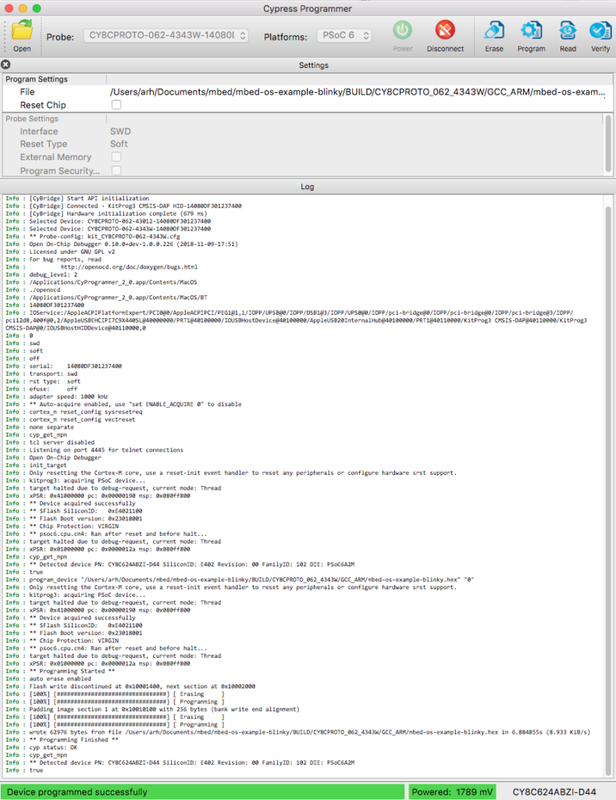 I cannot even begin to describe how gratifying it is to see this commit. But what does it mean? Lets look. 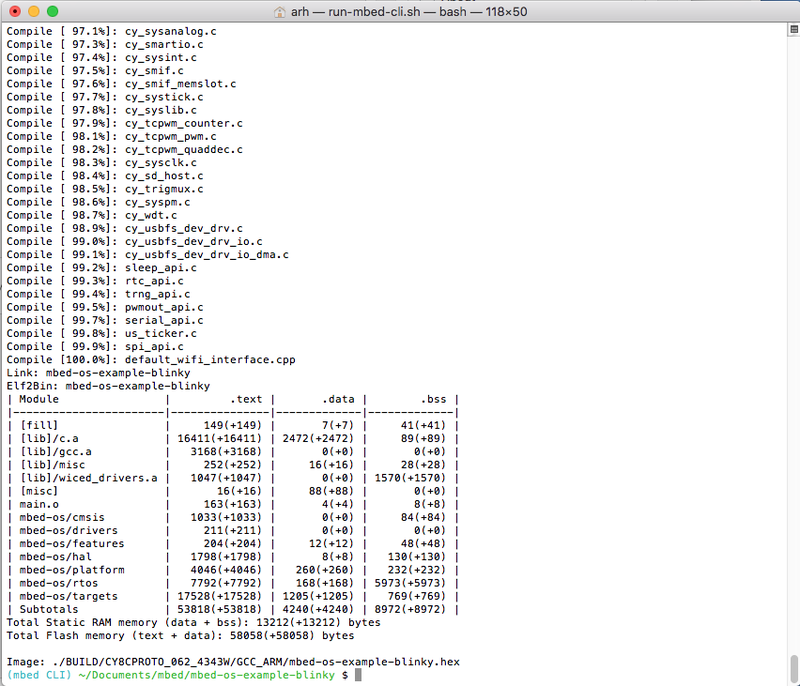 I am using a Mac, so I simply install the MBED-CLI using the instructions found on the MBED CLI webpage. Like all good embedded people, the first thing to do is make sure that the toolchain and everything else works using a simple blinking LED project. 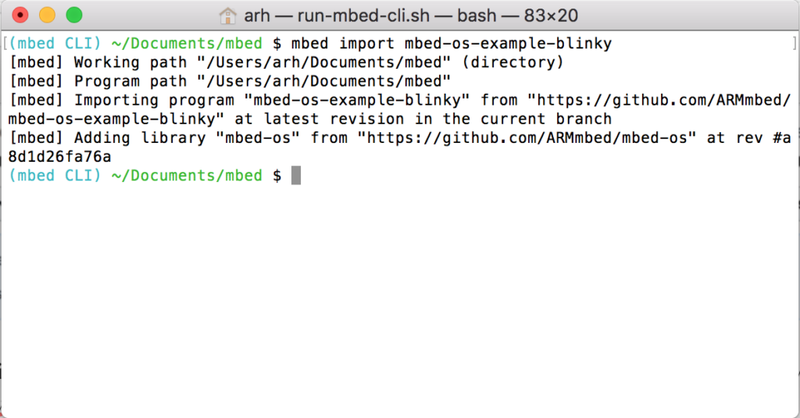 And, the easiest way to do this is to import the ARM example using: “mbed import mbed-os-example-blinky”. The current release of mbed-os is 5.11.3 which you can see on the Tags page of the mbed-os GitHub site. Notice in the screenshot above that the commit number for mbed-os is “a8d1d2…” which means that by default, when you import a project it gives you the “latest” version of mbed-os, which really means the latest official release. And when I look at the commit history in GitHub I can see the interesting commit has the same number. TARGET_PSOC6_FUTURE – a really cool target that Future Electronics created. 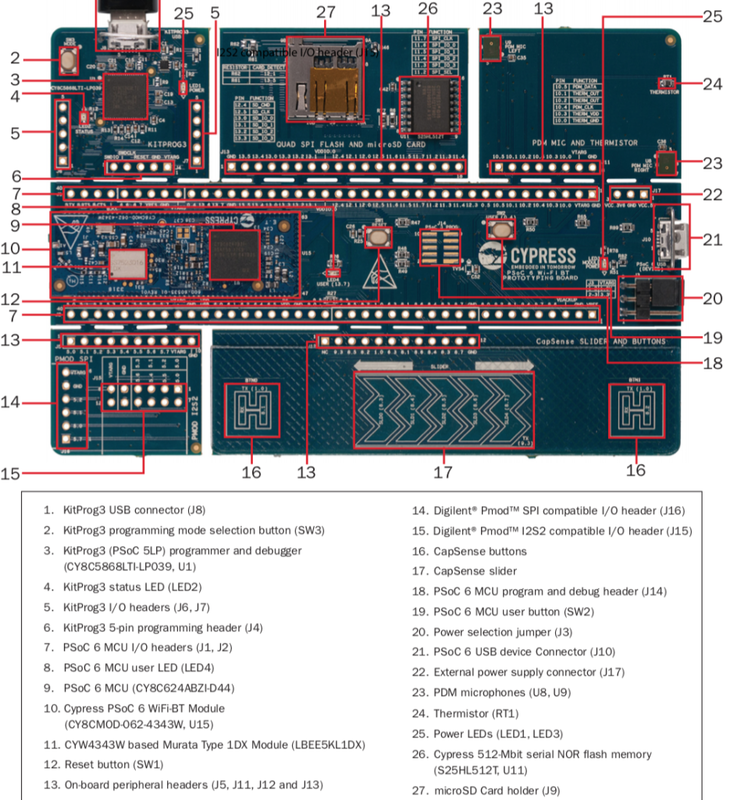 When when I look in the Cypress directory I see a bunch of my favorite Cypress PSoC 6 and WICED wireless development Kits. I happen to have a CY8CPROTO_062_4343W on my desk at home. This kit has a bunch of cool stuff on it, but most importantly it a 4343W WiFi Bluetooth Combo chip and a PSoC 6 together. Finally, A PSoC 6 2M (which is really called CY8C624ABZI-D44) and a WICED 4343W – a Dual Band 802.11n and Bluetooth 5.0 Combo. Here is a picture from the development kit guide. This looks simple enough, but I am never a fan of “other” stuff in the blinking LED example. So Ill trim it down to the most basic. Now I have a “hex file”. How do I program it? There are three ways. Nothing happens on my development kit? So I press the reset button and now I get a blinking LED. But why do I have to press reset? Do you see the “Reset Chip” checkbox at the top of the “Program Settings” window? That has to be clicked. Now when you program, the debugger will reset the chip and you will be off to the races. So, what was going on with the rest of that program that came by default? 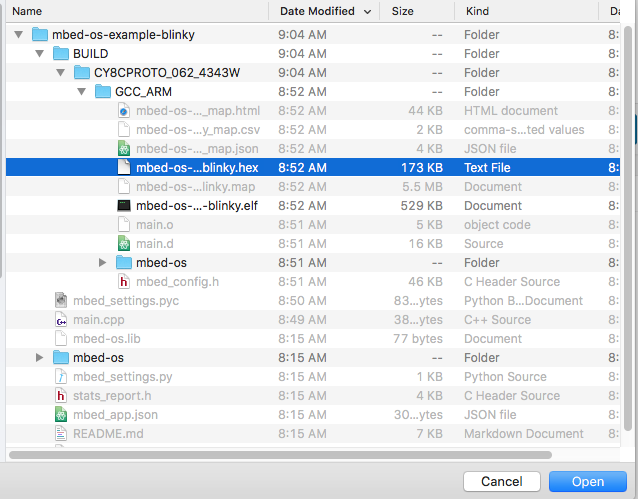 If you attach a serial terminal to the devkit you will see that the blinky example program is putting out information about the RTOS. It turns out the mbed-os is really an os… an operation system. Actually it is a real time operating system that traces it genealogy to RTX, a product from the old Keil Corporation which was acquired by ARM…. a lot more on this later. One final note that may cause confusion (I certainly have been confused). 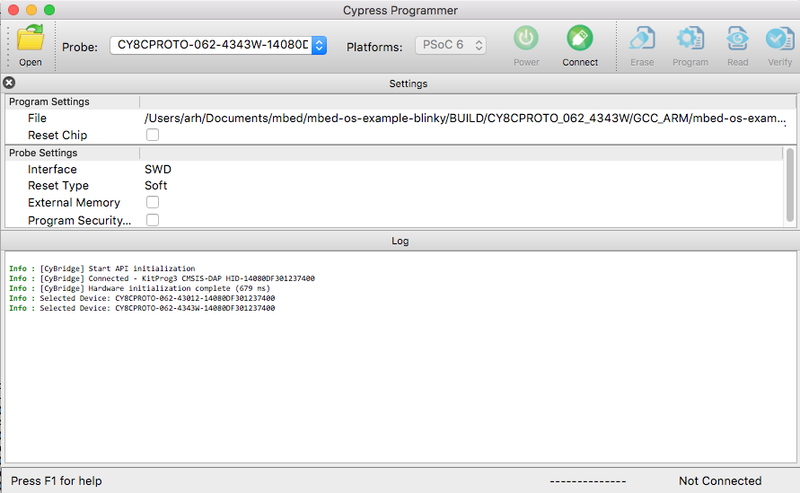 There are four different modes of KitProg 3 (the programmer that is built into most of the Cypress development kits). 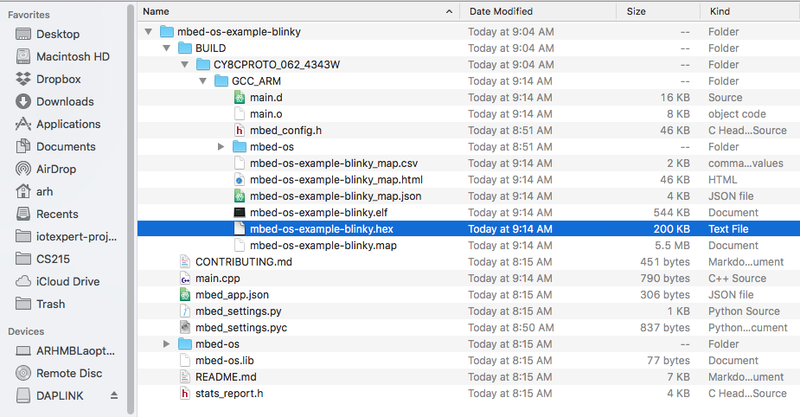 In order to program from the command line using “mbed compile -f” you need to be in “DAPLink” mode. 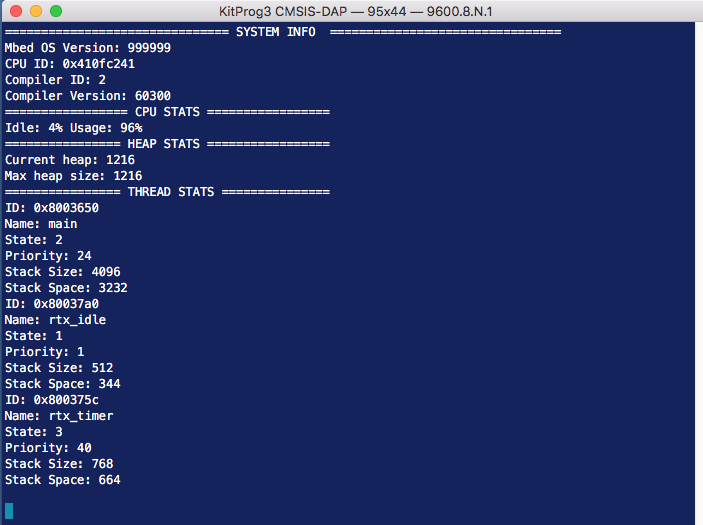 In order to program with Cypress Programmer you need one of the CMSIS-DAP modes. I am an engineer and tinkerer at heart. I live in the most beautiful place on earth - Central Kentucky. This blog is about hooking stuff up to the internet. Click here for the long version. I too got real excited with the news of mbed on psoc 6 but I tried to follow your tutorial using the CY8Ckit-62-ble and I can not get it to run. it compiles and i can load it onto the board, but it wont run. Are there anythings you did to the board to make it run? What firmware did you have on the programmer? What did you program it with? If you email me Ill see if I can help you sort it out.